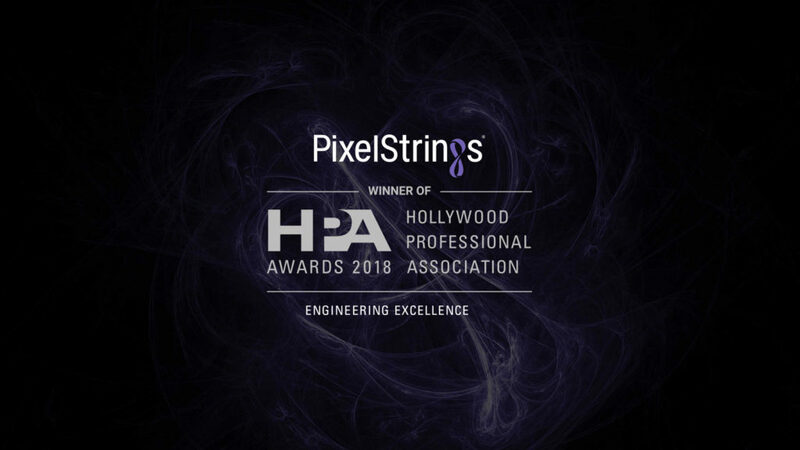 ALBUQUERQUE, N.M.–(BUSINESS WIRE)–Cinnafilm, a global leader in innovative video optimization solutions for television, film and multimedia delivery, has received the prestigious HPA Engineering Excellence Award for its new cloud-based platform as a service, PixelStrings. PixelStrings is a cloud-based video conversion service focusing on ultimate playback quality for media. Leveraging the award-winning framerate conversion, retiming, artifact/noise/telecine correction and transcode technologies from Cinnafilm, this PaaS enables the mass creation of best-possible video versions, while leveraging infinite, GPU-enabled cloud compute power. The platform is a growing hub of other best-of-breed media technologies and is a simple pay-as-you-use toolset available 24/7 through a browser. PixelStrings enables the freedom of a predictable OpEx process. Winners were determined through a highly competitive judging session held at IMAX on June 16. Awards will be given out at the 13th annual HPA Awards gala at the Skirball Cultural Center in Los Angeles on November 15. This year’s recipients also include Blackmagic Design, Canon and IBM Aspera/Telestream. Samsung received an honorable mention. This is the third win for Cinnafilm, succeeding past wins in 2012 and 2014. The Hollywood Professional Association (HPA) is the trade association serving the community of individuals and businesses who provide creative and technical expertise, support, tools and infrastructure for professional content creation, distribution and archive. Launched in 2006, the HPA Awards promote creative artistry in the field of post production, and recognize the achievement of talent, innovation and engineering excellence in the larger professional media content industry. Cinnafilm, Inc. is a global leader in innovative video optimization solutions for television, film, and multimedia delivery. Harnessing the unmatched computing power of modern graphics cards, Cinnafilm’s patented, 100% file-based software solutions are rapidly changing the field of high-quality image processing. Cinnafilm software is in use today at many of the world’s premier, forward-thinking studios and networks, solving a wide variety of very complex imaging problems, including but not limited to, restoration and bitrate optimization, noise removal and texture-matching for digital cinema and film, and automatic retiming and standards conversions within real-time transcode workflows. Cinnafilm’s corporate office is located in Albuquerque, New Mexico.